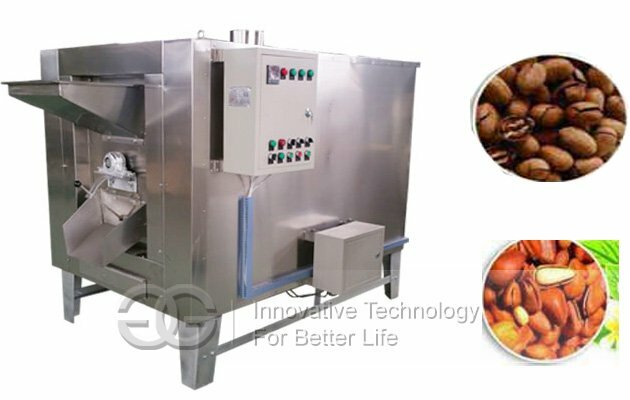 This commercial cocoa beans roasting machine or cacao roaster machine is multi-purpose for processing peanut, almonds, pecans, pistachios, walnuts, chestnut, tiger nut, chickpea, brazil nuts, sunflower seed, melon seed, watermelon seed, candlenut, macadamia, pine nut, yeheb nut, green beans, etc. 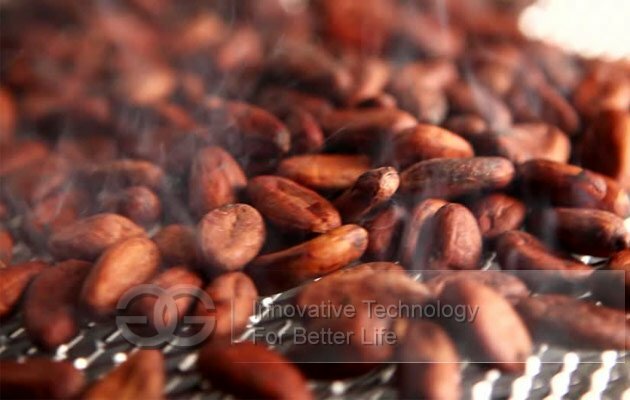 The cocoa beans roasting machine is made of stainless steel. 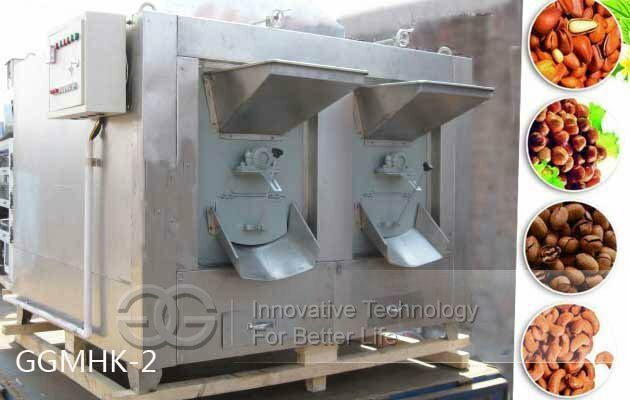 Principle of adopting rotary drum, heat conduction, heat radiation and using coal as fuel; Lower production costs (by baking objects while baking contact with fireworks), proved by several peanut products factory use, this machine is easy to use, high efficiency and energy saving, durable wait for an advantage. 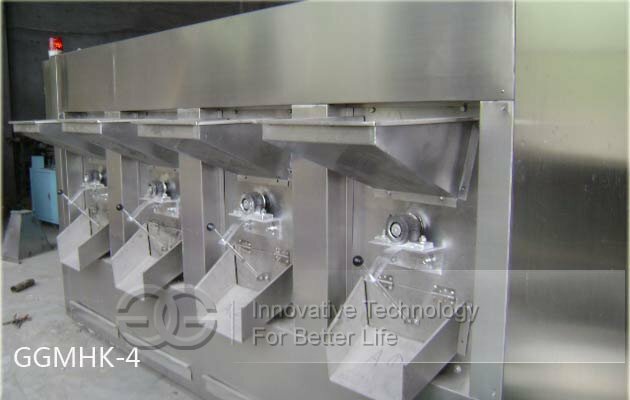 Baked products are of high quality, health, taste is, all can achieve export standards. 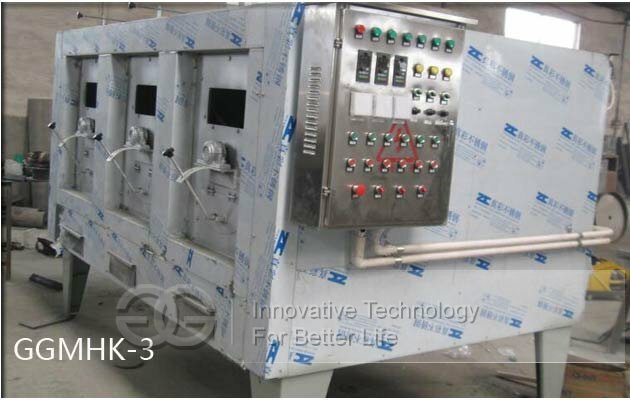 The heating type: Gas, electric, diesel, coal, etc. 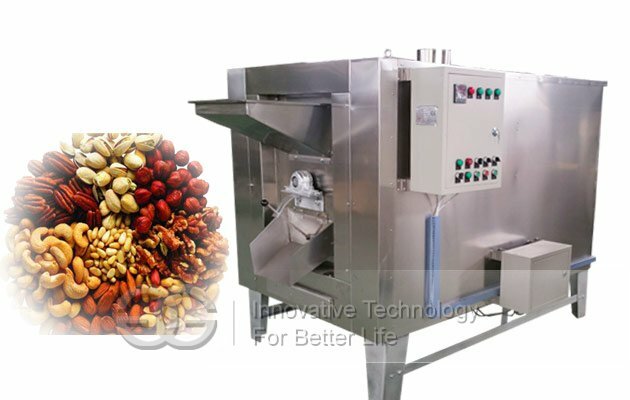 This cocoa bean roasting machine is widely used in food processing machinery, and can be equipped with cocoa bean peeling machine.